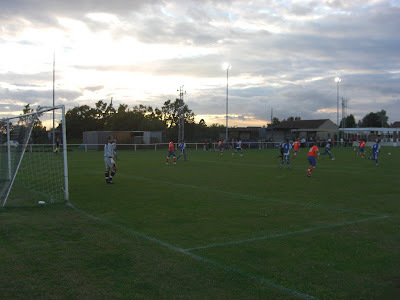 My forty-seventh stadium of 2011 was on Thursday 11th August 2011 at Lower Road in Hullbridge, Essex. 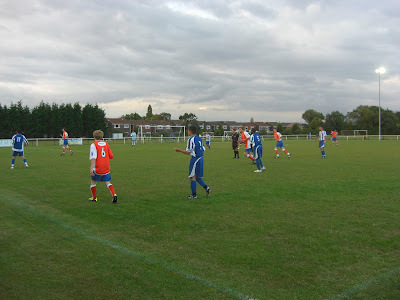 The match was Hullbridge Sports vs. Braintree Town in the Tolleshunt D'Arcy Memorial Cup Final. 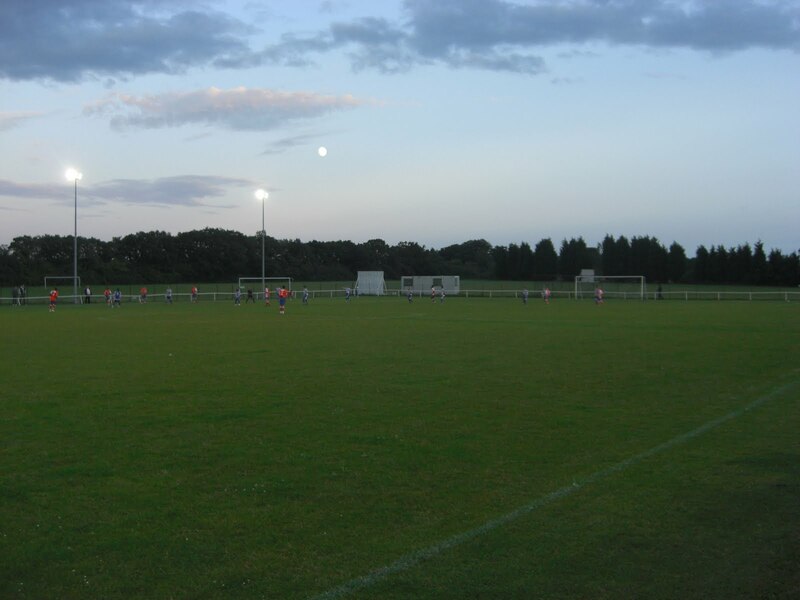 Lower Road is around 3 miles from the nearest railway station but a short bus journey from Rayleigh railway station takes you into Hullbridge and close to the ground which has been home to Hullbridge Sports since 1980. Lower Road is part of a larger sports and social club facility in Hullbridge. There are several football pitches surrounding the ground with low fencing separating it from the rest of the facility. The social club is by the main entrance to the ground and has good facilities. The west side of the stadium has two small all-seater stands, each containing 50 seats, with a covered standing area positioned in between the two structures. The rest of the ground is general viewing although with the fencing close to the pitch this means it is quite confined. The tie was the final of the Tolleshunt D'Arcy Memorial Cup - a competition for clubs in Essex which has been run by the Essex County FA since 1933. 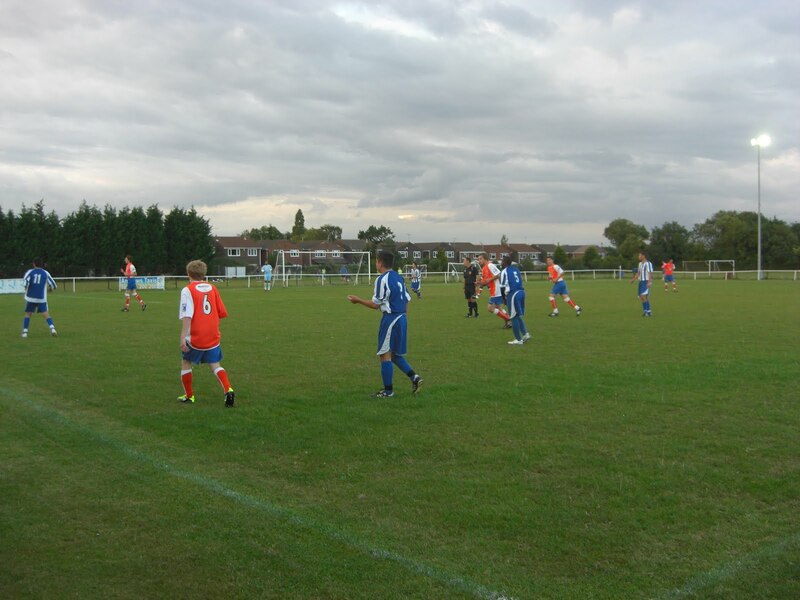 This season there were 16 teams from non-league football entered into the competition with the final being between Essex Senior League side Hullbridge Sports and Conference National side Braintree Town who play in the competition with their reserve team. The game was a fairly scrappy one with Braintree taking the lead from the penalty spot after a quarter of an hour following a trip in the box. Both sides then had opportunities to score but none were seized upon until an hour into proceedings when a long ball by Braintree was superbly controlled and then driven into the net to make the score 2-0. 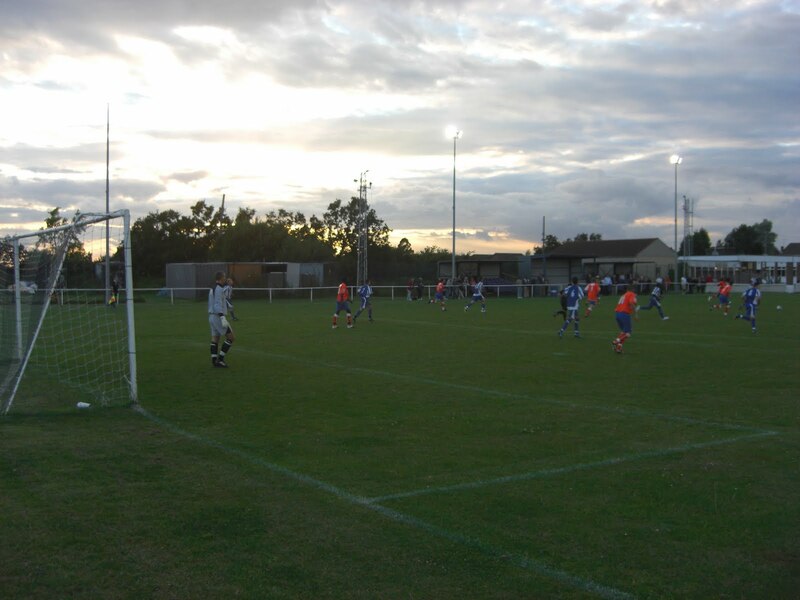 Hullbridge scored a header with 20 minutes remaining but Braintree held on to win the game and the cup.